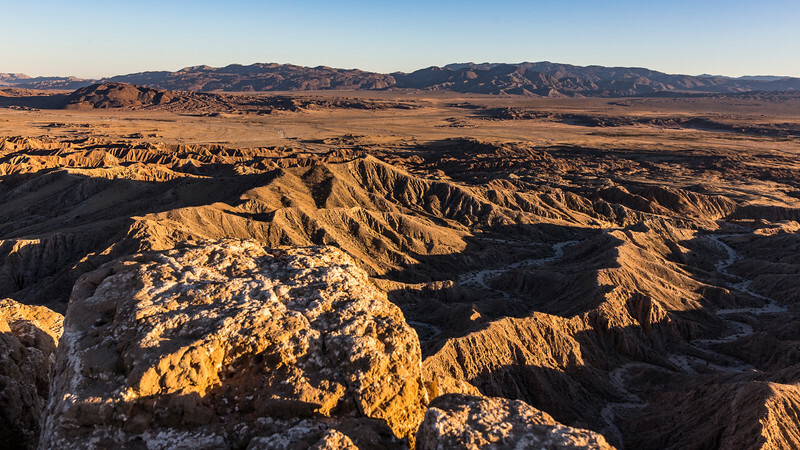 Font's Point is a scenic viewpoint in the Borrego Badlands area of the Anza-Borrego Desert State Park in San Diego County. The area is named after Father Pedro Font, a Franciscan Friar who accompanied Spanish Conquistador Juan Bautista de Anza on his explorations through the valley. Anza opened up the desert route that the Spanish used as an overland supply route between Mexico and settlements as far north as San Francisco.